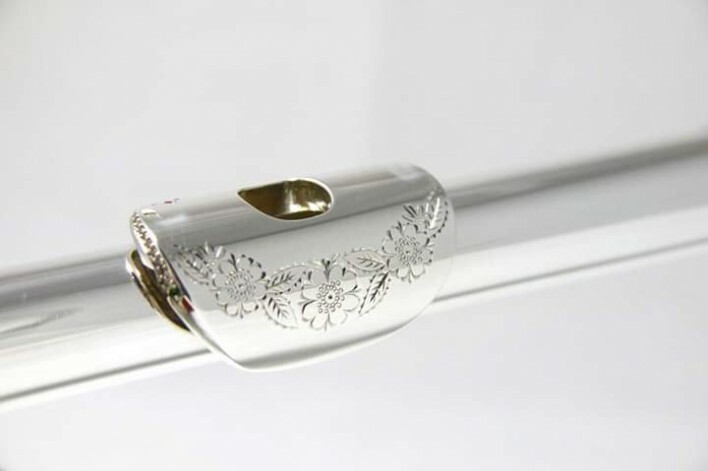 Feature-this beautiful 99.5% silver headjoint with engraved lip! 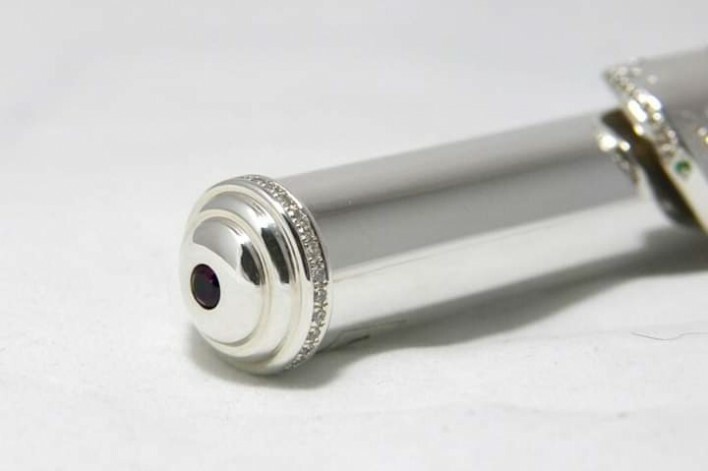 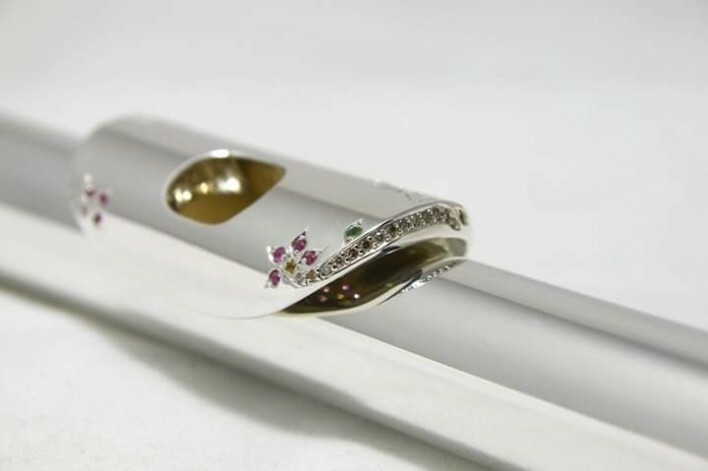 It features a .33 carat diamond enhancement in the lip plate as well as the standard ruby inlay in the crown. 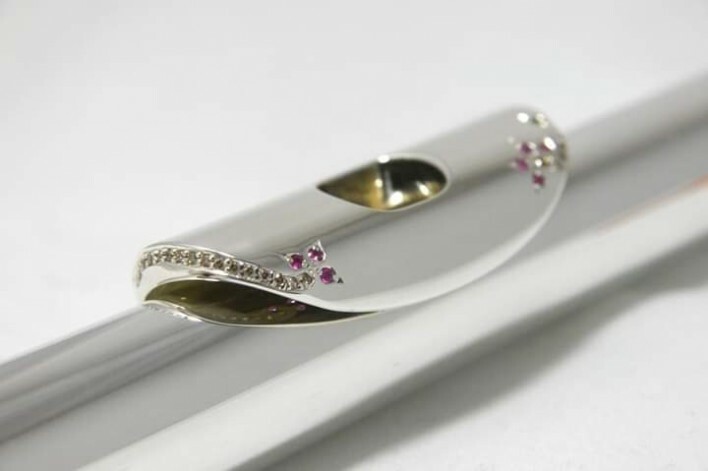 Contact us today to experience the beauty and crystal clear sound of Song headjoints!